Here is an image from my latest restaurant shoot at the MGM Grand Hotel in Las Vegas. 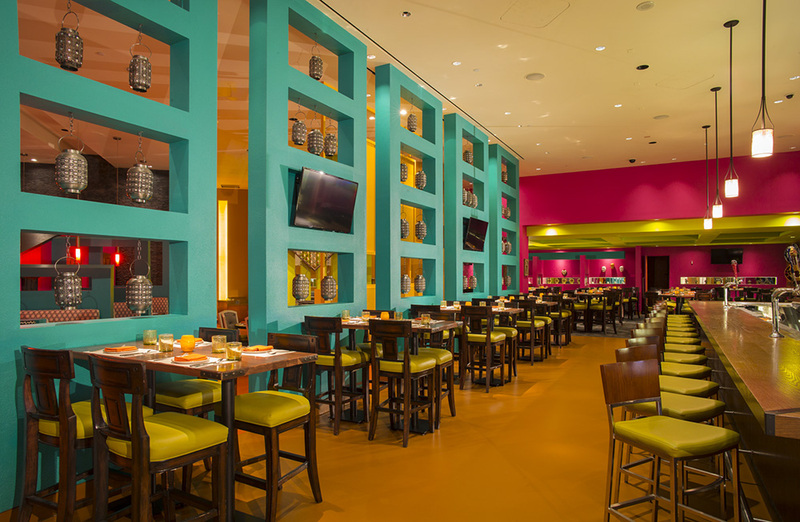 I was hired to photograph interiors and exteriors at the newly remodeled Hecho en Vegas restaurant. I also spent some time recently at the MGM shooting on set for the new “What happens in Vegas stays in Vegas” commercial. I’ve been very busy over the past month with a wide variety of jobs. One assignment that stands out was the shoot at Sinatra with chef Theo Schoenegger. 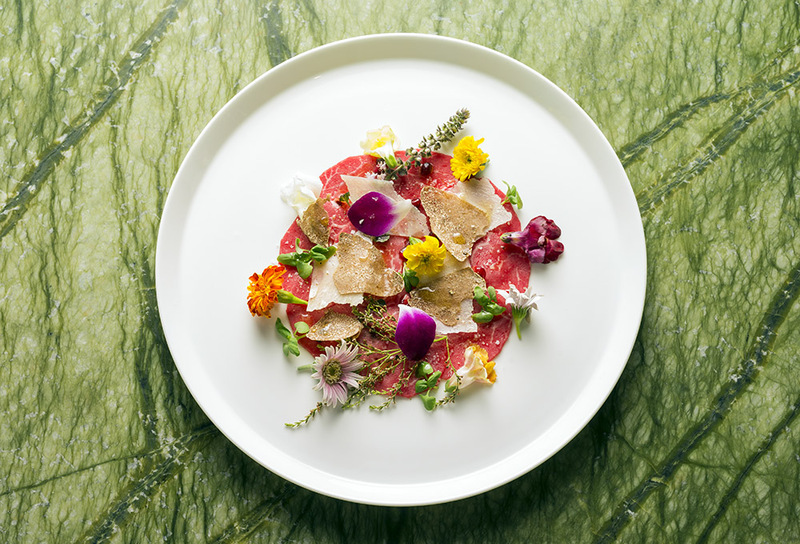 He presented some incredible truffle dishes for me to photograph. I also shot some beautiful new cocktails for a couple of restaurants at Wynn Las Vegas. I recently completed several new architectural and design photo shoots. I shot many design updates at some of the Las Vegas premier strip hotels and casinos. These images will be used for advertising, websites and design competitions. 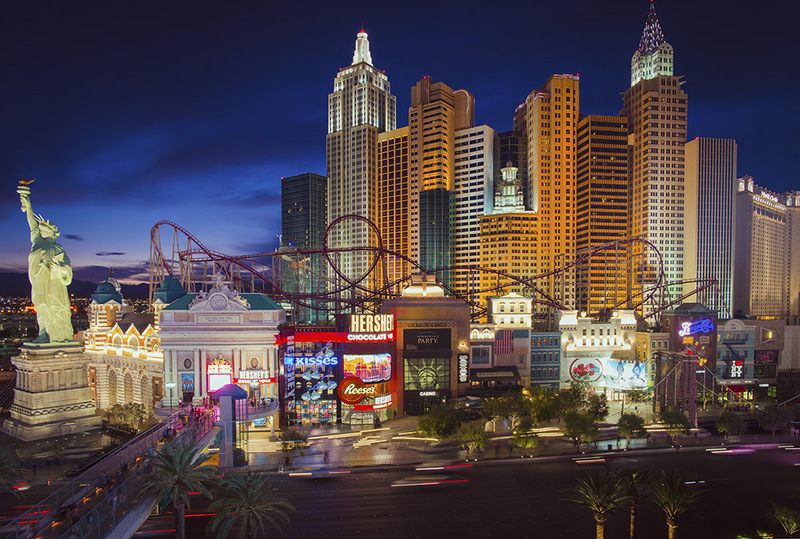 Here is a dusk image from my latest shoot at New York, New York Hotel & Casino. It was taken from the rooftop of the MGM Grand.